Successful public relations counsel is based on experience and observation. It’s not easy per se … in the sense that anybody can do it without really knowing much about it. But neither is it terribly complicated. Unlike the law, accounting, philosophy or countless other professions, most of the top finishing schools that each spring release thousands of freshly degreed PR practitioners on an unsuspecting population spend most of the four or six years they have a student’s attention focusing on tactics and case studies. Sure, attorneys learn the case law, but how many PR degrees qualify a graduate to think like a practitioner. There are two consistently competing narratives about PR and its future. One seeks to paint the profession as hopelessly complex. This theory makes for very interesting coffeehouse conversation, not to mention quite a bit of google love. 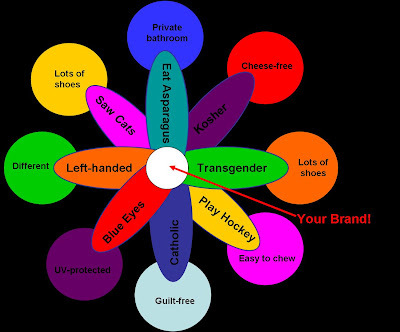 Proponents take the basic planning step of audience identification and turn into a quasi religion. Instead of deciding how your organization should address each audience, they fill binders and ppt decks with lots and lots of different messages that each audience needs to hear. Or read. Or share. Or … something. Audience identification is essential, make no mistake. And various audiences can have disparate and specific interests. But beginning with the massive Theory of Everything elevates a tactical consideration to something far beyond strategic planning. If it’s an art, put it in a museum. This is Gnosticism of the first order: If there’s something somebody knows that ONLY they know then guess what: They wouldn’t be hustling you for you PR budget to tell you. Does CNBC Get its Reputation Back? By now, anybody really interested has seen the great Stewart/Cramer beat-down. And make no mistake: a beat-down it surely was. If you’re just curious, look here, but not in the office and after the kids are safely asleep. There are three DNT lessons here. The first, obvious to even the casual observer, is that anybody who goes into an interview unprepared is a fool. 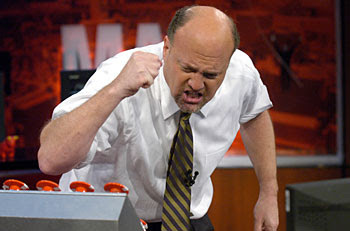 Cramer is a ridiculously wealthy man and a savvy communicator. Like too many business executives, he seemed to believe he could rely on his own considerable charm and personal brand to weather the initial onslaught and fight his way to an agree-to-disagree stalemate. Right off the bat, he shows disrespect for the forum, for the host and therefore for the audience. If you have neither the time nor the resources to prepare for a 15-minute interview with a COMEDIAN, you should, y’know, have a scheduling conflict. Send somebody who’s ready to play. Cramer is on the TeeVee machine for an hour every night during the week. He throws things. He refers to bank presidents (even central bank chairmen) by their first names. He says things about securities he owns, used to own, and will own in the future. Clearly, he notes when he discusses an issue in which he has a stake. But Stewart was loaded for bear. He had tape of the jacketless one explaining how hedge fund managers manipulate markets while staying within regulatory rules. These were not candids. The most damning footage had Cramer explaining how to manipulate stock while he quite obviously knew the conversation was being videotaped. It’s apparent he meant what he said. He just didn’t expect Stewart – or you – ever to see it. Again, with the research capabilities of CNBC, this guy couldn’t make inquiries? He couldn’t prepare a response … an explanation … a rationalization? He couldn’t even throw himself on a sword for the sake of the organization that gives him his platform? Going into an interview where your counterpart knows more about your business than you is a symptom. As a PR practitioner, I understand that the spokesperson is not always told all of the facts. Or even all of the truth. But still, this is CNBC’s star: their money man. If the tragic flaw of the traders and brokers and bankers who caused this mess was hubris, well, the jury remains out on whether they ever actually will be punished. But Cramer is guilty of that and worse: arrogance. He seems to believe that kinda-sorta saying that he could have done better and maybe his network should have tried harder will be just the mea culpa he needs. The American Public won’t buy it. But guess what? Maybe the Cramer public will. Jim Cramer is a cheerleader. His show is presented as advice for average investors and it’s that positioning that makes it so attractive to its target audience. That target audience is not average investors. CNBC is a cash cow in NBC Universal’s holdings. But it is by no means the most popular. It’s profitable because its business model is based on advertising and advertisers are dying to reach CNBC’c admittedly small audience: affluent traders and brokers. Cramer’s Mad Money is sales spiel that these insiders can repeat the next day to soothe worried clients. It’s one continuous sales seminar. And if it didn’t work, we wouldn’t be having this conversation. If that core audience keeps tuning in, CNBC gets to keep ringing the cash register. But his credibility doesn’t rely solely on ratings. It relies on the fact that several “client” segments … the people to whom those traders and brokers and bankers repeat that Cramer wisdom … trust his advice. They trust it because Jimmy said it. That may be hard to maintain in the long term.